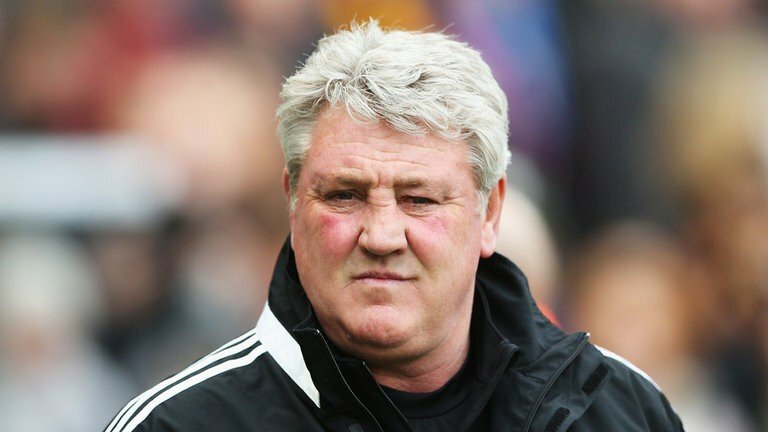 Steve Bruce has held talks with Aston Villa over their vacant managerial position and hopes to hear back from the Championship side sooner rather than later. The 55-year-old has been out of work since stepping down as Hull City boss ahead of the 2016-17 campaign. Villa are searching for a successor to Roberto Di Matteo – who was dismissed last Monday after 12 games in charge - and former Birmingham City boss Bruce is in the frame. "I have had a chat with them and that's as far as it's gone," Bruce told Sky Sports. "They did say they were in a process, which you have to respect. I am hoping that I will hear something this week. Bruce has signed a one year deal at Villa Park. Hopefully Steve Bruce is the man to revive Aston Villa's fortunes both on here and irl! On my second season now with Villa, some great youth there. Keep an eye on Pulisic (Dortmund), I picked him up for 8.75m due to not getting first team football. Bargain buy the man is a genius in the game. When I walked into Bodymoor Heath, I new it was going to be brilliant but just how wonderful the facilities are was just outstanding Bruce said to the journalists. I mean I played for united and they have world class ones but Villa's come mighty close. There youth structure is amazing and there coaches are too. So when I had the tour I knew this was going to be the place for me to come and manage. Steve Bruce was talking in his first press conference since taking over as the manager of Aston Villa. Bruce was asked several questions including one about signings and how much his budget was. I am not going to lie in the fact that I have to sell to buy as the club have paid big money out for Ross (McCormack) and Tommy (Elphick) I will have to do some wheeling and dealing and will obviously dip into the loan market and I have already identified some targets. It is understood that Villa are looking to offload Libor Kozak, Gabby Agbonlahor and Alan Hutton. Kozak has endured a bad time at Villa and it seems that his career just hasn't took off and with Bristol City understood to have bid for the striker, it would be one of the big earners off the payroll for Bruce. Also apparently on the way out is Alan Hutton, the Scottish International is understood to have been told he has no room in the squad at Villa Park but the fact that he is on over £40,000 a week could well prove a stumbling block for any side looking to sign Hutton. Gabby Agbonlahor is another also appearing on the way out of Villa Park and it would be a shame to see the striker leave but he has not been himself for around 5 season's now and with Steve Bruce liking high work rate player it seems that he could be on the move with West Brom and Stoke apparently interested. On a positive front it is understood that Bruce wants to bring in a few freebies and loan signings. It is rumoured that Bruce has made Chelsea youngster Ruben Loftus-Cheek and Tyrone Mings as his main targets. Loftus-Cheek is a up and coming midfielder who works very hard and has been unfortunate not to get a look in at Chelsea but can Bruce convince Chelsea to allow Cheek to go to Villa for the season. Loftus-Cheek on way to Villa Park? Tyrone Mings is another player apparently on Bruce's radar. Mings, who moved to Bournemouth for £7.5m only played once last season and it is understood that Bruce likes the 23 year old and that he would add some steal to the Villans defence. It is understood that Bruce is also considering bidding for Federico Marcheda, Bobby Zamora and Tony Hibbert are also wanted by Steve Bruce. Marcheda, ex Man Utd striker has played in the Championship for the last three season's and would add that extra dimension to the squad if Bruce was to get him. Bobby Zamora is another player on the Villa managers radar and has the experience to help Villa push for promotion. Tony Hibbert, ex Everton defender could also be bought in by Bruce as he looks to improve the defence but all these rumours, we will just have to wait and see if Villa sign anyone. Mings would be a great addition to this squad! Villa Make Signings And Greedy Players? 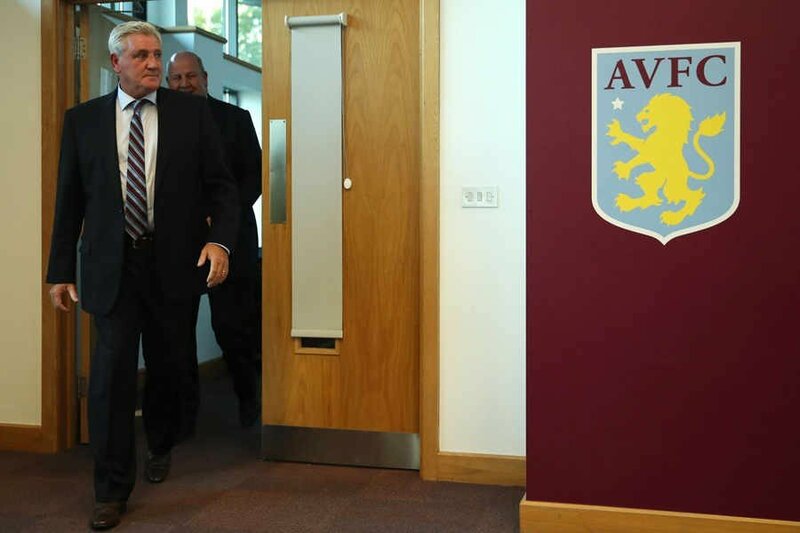 Aston Villa boss Steve Bruce has wasted no time getting players in since starting his job just 4 days ago. Firstly Bruce put in an offer for Adel Taraabt from Benfica, the offer being £475,000 which was accepted. Taraabt spent 8 years in England traveled to Birmingham to talk to the Villa management team but his demands were incredible! Adel demanded to be a key player and also demanded to be appointed captain. This was never going to happen as it was the reason that Tomy Elphick was bought in. It was then discovered that he also did not think the coaching team was strong enough and also demanded that the midfielders were strengthened too! This cause Steve Bruce to end all contract talks even before they had started and looked elsewhere. In better news for Villa fans, Bruce did make four new signings. Former Villa striker Peter Crouch joins Villa on a season long loan deal from Stoke. Crouch, who was at Villa Park for three seasons will bring a lot of height and something different to a Villa side that is looking talented. Joining Crouch at Villa Park on loan is Bournemouth left back Tyrone Mings. Mings who has proven quality in the Championship got positive feedback on social media when he signed for Villa with some fans calling for him to signed permanently at the end of the season. Two players have been signed on a free permanently in Ryan Taylor and Federico Macheda. Taylor, who previously played under Steve Bruce at Hull moves on a two year deal and its good to see Bruce bringing some experience to the Villa squad and looks a sure start at right back. In Macheda, the ex united player is only 24 years old and is looking to finally find a club that he can stay at as the striker has had 6 clubs in just 4 seasons. The player has some ability but can Bruce get that out of him, we will see. Macheda on a free is a great piece of business bro! really good start here, keep it up! 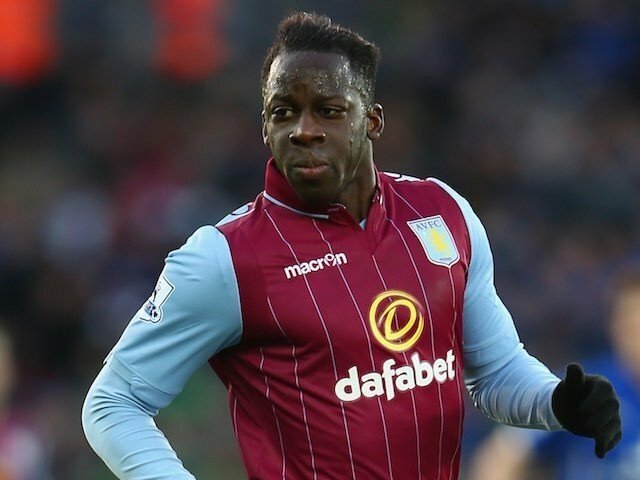 With the start of the Championship only eight days away Aston Villa manager Steve Bruce has sold Aly Cissokho to Sunderland for £4,400,000 which could rise to £5,500,000 for the left back. 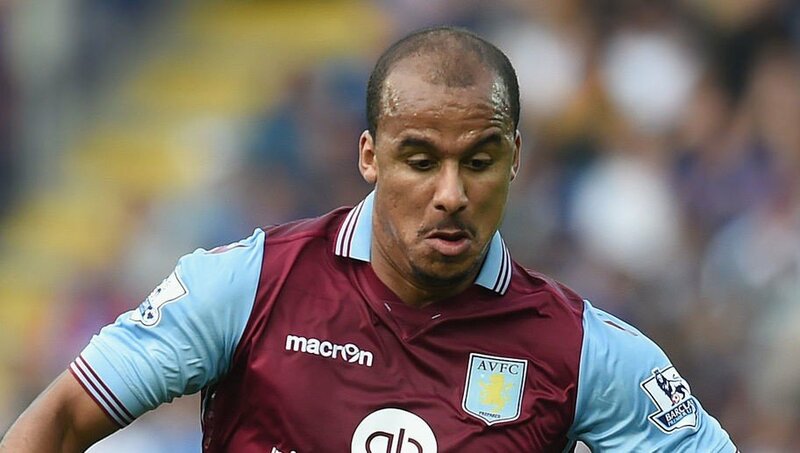 Another player out the door at Villa Park is club legend striker Gabby Agbonlahor. The forward leaves on a season's loan to Aberdeen with the option of a £550,000 deal. Lets start with Agbonlahor's move to the Scottish Premiership. Gabby had offers from Hearts and Aberdeen but decided to move to the side that is most likely to challenge Celtic for the Champions League places. 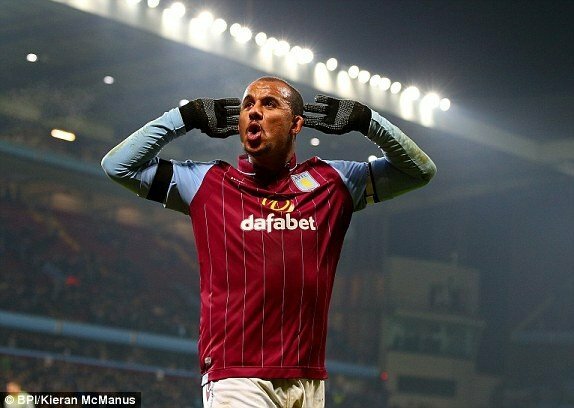 Agbonlahor spent his whole career at Villa and scored 73 goals in 228 games. It was a career that promised so much and also gave Agbonlahor three England caps but now he will be remembered for being a great servant to the club. Some media outlets claim that Sunderland have overpaid for Aly Cissokho after his £4,400,000 move which might rise to £5,500,000. Cissokho moved to Villa for £2,000,000 in 2014 and the deal represents good value for money for a player the fans did not really rate at Villa Park and it also gives Bruce some money to play with. 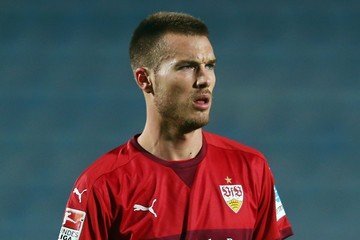 There has been a player come in too from Stuttgart on loan and that player is Toni Sunjic. The centre back who is a Bosnian international is a very big presence and it appears to be quite a coup for Villa to land the big Bosnian. The deal is for the whole season and the fans are now looking forward to the firt game of the season. Smart move choosing Aberdeen over Hearts. Sunjic should be a beast for you! Aston Villa boss Steve Bruce today announced his first signing that has cost him money for a permanent deal. Matty James joins from Leicester for a fee believed to be around £2,500,000 and is being deemed a good piece of business by a lot of people. The 25 year old started his career at Manchester United but failed to make an appearance in five years at the club, James however did spend two spells at Preston which was enough for Leicester to spend £500,000 on him and spent four seasons with the club but ultimately missed out on a Premier League Medal as the quality of the squad got better for Leicester meaning that James missed out on playing time. 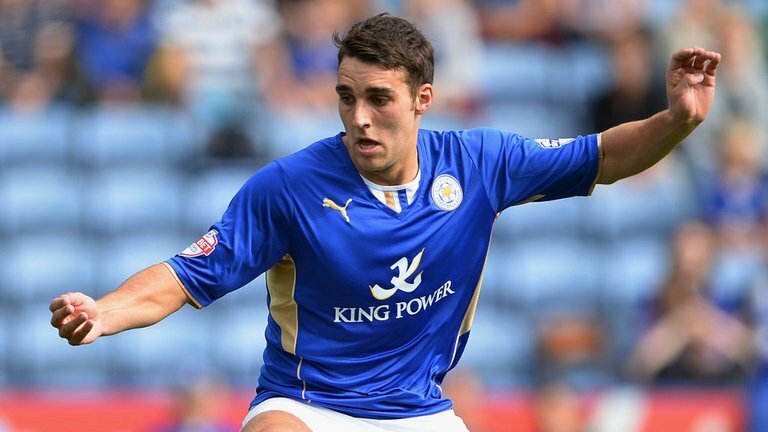 Matty James has signed a three year deal worth £36,500 a week. Villa fans think that James is going to be a good signing and Bruce thinks that he is going to be a big signing for the club. When I heard I had the all clear to go out and buy Matty, I new I had to work fast because Wolves and Bristol City were interested but I new he would sign for us in the end. It is understood that due to a niggle, James will be at Brighton to watch Villa in action but will not feature. It is also understood that Ryan Taylor, Toni Sunjic and Federica Macheda will all make there debuts at the AMEX stadium this weekend.